It begins well with D.W. thinking Arthur was born with glasses. D.W. found a picture of Arthur before he got glasses, and she assumes the picture is of a hidden third child since Arthur was born with glasses. The beginning of this episode is a good showing of their love-hate sibling relationship, but it goes downhill from here. This is before most title cards were made and the “swimming Arthur” card just means it is about the Arthur character. It is a very common title card in the first few seasons. Since Arthur cannot see he fails his math test, but there teacher, Mr. Rubio needs to take math lessons, since he says anyone with four or more mistakes should see him, yet there are only four problems. Most of the voices are very different now. Binky especially had a much deeper voice. The humor this episode like Arthur half blind going to the girls’ bathroom when every girl except Fern and Prunella are in the bathroom at once is more wacky than the later episodes’ more realistic humor, but that is not bad. The ending is fine, even if Francine’s humor is annoying, while Binky and D.W. still give most of the laughs. The animation is recycled form itself many times like Fern constantly just standing there in basketball. What is she planning on doing? I guess the animators really loved drawing her. Also Sue Ellen is in an episode that takes place in second grade despite not showing up until third grade. This show is very similar to Peanuts especially in the earlier episodes where most characters showed the potential meanness of childhood. The notable differences are more time to the adults, Arthur being more of a winner than Charlie Brown, and Buster being nothing like Linus. Only Binky, Francine, Buster, and Arthur are given actually character. Arthur is somewhat of a loser due to his lack of vision, but it goes away. He seems to really care about how others think of him, but he decides that is not important (a regular moral). Buster is mostly a loyal friend, but he can slip up like when he mocks Arthur when he thinks Arthur is not around. Francine is a teaser and a very mean one. Binky in this episode is just not smart. D.W. is very curious and too quick to act. As a whole this is a good episode, but it is far from one of the best and probably one of the worst episodes of the first season. I would like to point out for the first season the Executive Producers are Micheline Charest and Carol Greenwald. Producers are Ronald A. Weinberg and Cassandra Schafhausen. Greg Bailey is the director. Ken Scarborough is the Story editor and head writer. Akom is doing the animation. For the first 13 seasons each cast list had one big one for the season. Michael Yarmush is Arthur. Michael Caloz is D.W. Bruce Dinsmore is Binky/dad. Sonja Ball is mom. Danny Brochu is Buster. Jodie Resther is Francine. Melissa Altro is Muffy. Luke Reid is Brain. Arthur Holden is Mr. Ratburn. Tammy Kozlov is Prunella. PAtricia Rodriguez is Sue Ellen (uncredited as Francine’s sister, Catherine). The late Walter Massey is Mr. Haney. Joanna Noyes is Grandma Thora and Grandpa Dave. A.J. Henderson is Mr. Crosswire. Bronwen Mantel is Mrs. McGrady. Joe Fallon wrote the first episode. Francine’s Bad Hair Day takes place in third grade after “Arthur and the Real Mr. Ratburn.” Altro’s voice for Muffy sounds much younger than it will in a very short time. Muffy clearly knows all of Francine’s week spots. Francine does show she cares more about sports than looks since her dream is more sports based. In later episodes Muffy would have paid for Francine’s makeover. Since Francine teases everyone else so much I like seeing the reverse. Brain’s first lines are gravity jokes. In the first game Fern is catcher, but in the second game Jenna is catcher. Maybe with Francine gone Fern is taking her place at shortstop or something. Unlike most of the less good episodes of season 1 this does not have the fault of being resolved too quickly, but it as a dull plot. For animation it has plenty of the side characters just being still, but it also regularly points out its own animation errors like mentioning invisible rips. This episode has changed titles over the years. The original title was referenced in two other titles, which is why I prefer the first title. The students get Mr. Ratburn, the show’s fourth best character, as their teacher. This is referenced even in the most recent seasons. They get a teacher they are horrified of and they overhear him say he needs heads. Arthur, Buster, and Francine try to stop him, as they watch him do what seem to be many part time jobs. Eventually Arthur and Buster discover he was talking about puppet heads and he tells them about organizing their time, as he is a teacher everywhere. The boys leave all happy until Mr. Ratburn reminds them of their geography reports due on the second day of school. Mr. Ratburn is characterized as a very hard working, smart, and good teacher, but also incredibly hard. He really is the most thoughtful adult on the show and this is where the show really begins to stand out. The first time that Mr. Haney is used as a clown where he forgets the clown and falls over on his horse. The animation is much improved. Characters that are not talking are still really still, but they have clear expressions and they are blinking more. They are also moving more often. The list of animation errors like the last two episodes is huge, but these are less notable errors. The recycled animation in “Arthur’s Eyes” were very obvious. In “Francine’s Bad Hair Day” they kept pointing to things that did not exist like the tear in Francine’s dress” but here they are less notable and better hidden by a superior story. Even better the fear is making the characters act more robotic temporary, which the animators take advantage of to make both an ominous and humorous mood. It has the rain title card, which usually means a minor disaster. Arthur is nervous about a spelling bee and imagines himself as Benjamin Franklin flying his kite. The first time I ever even heard of Benjamin Franklin. Also I think it is the first time Arthur’s last name, Read, is revealed. The flash forward is over and it is revealed Arthur has trouble spelling and he is fine with that. He still studies some for the class spelling bee to try to get the prize, but he only learns Aardvark since he just listens to the now loved song. Fortunately that is his word. Normally that is against writing 101. Coincidences should never help the protagonists, but it is immediately revealed the prize is to compete in the all school spelling bee that it is more of a curse. There is also something about everyone else’s arrogance contrasting Arthur’s humility that make him more likable than usual. He tries to drop out, but in an important scene Mr. Ratburn tells him he can become a great speller. It is a touching scene to see such encouragement and it really motivates Arthur. His whole family helps him get ready and he wins the spelling bee. To show how much the writers love this they mention it for many seasons and even posted it as Arthur’s favorite event on facebook. This is the new reigning best episode. It also cements Joe Fallon as the favorite writer. In this episode D.W. is afraid of octopuses and she eventually overcomes it when Arthur is pretending to be in danger. She is portrayed as shockingly brave around some things like sharks and fearful around others like octopuses. She is also shown to be courageous at the end. This has a compelling plot, but some parts that do little to actually advance the plot like Buster’s water cap, which at least plays a role and Buster and Arthur’s plot does not feel rushed, a real strength the show will use. D.W. is funny and heroic, which is a major reason why she is my second favorite character. Hi sharky. You have nice teeth. I want one. There is plenty of early installment weirdness. Buster will go on to be a goof ball who is book dumb and obsessed with food. Here he is portrayed as very smart and he even the least concerned about food of the entire class. Apparently the food was really good, since no one noticed Buster finding a fossil and jumping in the water. This further characterizes Buster as a trouble maker and Arthur as his conscience. This is where the Arthur character when he is not the lead is first shown. He is trying to be everyone else’s conscience and keep them moral, while not losing his own way. He also becomes probably the most moral child in the show. Mr. Ratburn gets further shown to be a good, stern teacher. Brain finally gets some real screen time. Oddly Alex gets a line, which is still incredibly rare. In fact he gets two lines in season one, two in an episode of season seven, and one in season eighteen. It gets resolved too quickly (a common problem that will go away soon), but I did feel Buster’s pain as a dinosaur lover and the nightmare was really good. The first episode written by head writer, Ken Scarborough. This introduces Nadine, D.W.’s imaginary friend. Arthur wants to go to a theme park because, it has a famous new ride. D.W. wants to go because it offers “barf bags.” It is D.W. who convinces dad to take them, but Arthur tries to make her drop the imaginary friend. Here D.W. is shown to be freakishly brave and smart, I like her even more already. She regularly outdoes Arthur in their sibling rivalry, and I love watching it. Buster’s love of food is finally introduced, which apparently chases everyone else off since only Arthur and Fern sit anywhere near him. Like most of the early episodes it is resolved too quickly, but it does have some funny parts with D.W. This episode is much better than I remember. I planned on only briefly mentioning it, but it is actually very important for characterization and story complexity that will become prevalent later. Everyone in Arthur loves the library, and it is shown in the beginning. I also love the library. It has great movies and books. It is also great for college studying. Back to the episode. A parody of “Goosebumps” called “Scare Your Pants Off” has anew book. It was years until I heard of the real series. I thought Arthur made it up. That will be a common part of reviewing Arthur. The New book is The Mysterious Hand. Everyone runs for it. Even George who has Dyslexia runs for it. Arthur borrowed a horde of other books (I am still wondering why he wanted a French-English dictionary). Sure enough the titular book falls off and a non-mysterious hand(Binky’s hand) grabs it. Arthur looks for it and D.W. does hand shadow puppets. Foreshadowing that she is the narrator. Arthur calls in Private Eye Buster Baxter… I think this was made after “Arthur Accused.” He then decides Buster is a suspect and goes to the one person who would never want to read any book. Arthur’s plan is to go to each suspect and do a process of elimination. At least he is not leaving anyone out. Binky just wants a badge. Take my Geometry book instead. “You just did.” Binky warns him to not tell anyone he reads. Binky is the third best character and he is portrayed how he will the rest of the series. Someone who acts like a bully with many very strange interests. He is book dumb despite liking to read. He tries to keep it a secret despite everyone knowing it. He is actually very similar to Arthur, as he constantly worries about being called a baby. I cannot tell if this one is better than “Arthur’s Spelling Trubble” or not. It is no accident that of 8 episodes Fallon has written four and has all the top three spots. Season one so far is not spectacular, as it is a hit or miss. Yes, they had pre-school audiences in mind, but they knew getting an older audience would be an added bonus. My older sister constantly insulted me for liking them more than her favorite movies, but these have an appeal beyond nostalgia. When watching one old episode of “The New Adventures of Winnie the Pooh” I could not stop. The plots are not that good, but the characters could make almost anything work. They clash with each other so well. Ever time someone like Rabbit, Pooh, Piglet, Eeyore, or Tigger talk there is entertainment. It is still consistently good for a short watch that fills the small time space perfectly. This was a great idea in the opposite direction. 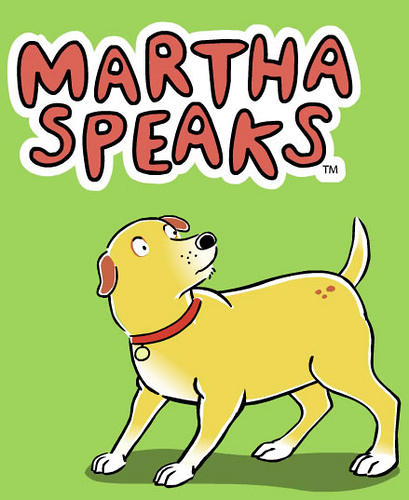 In “Martha Speaks” the main value is from the plots. A talking dog (that humans can understand) is not original, but it has plots such as the local conmen trying to become rich off her, a fake alien pickle invasion, and catching jewel thieves. The characters were less memorable as the basic characteristics were common, but they were more stubborn than most characters with their ideals. They even made a parody about Green Eggs and Ham about avoiding peer pressure. Most shows show the person not doing the ordinary thing to be bad, but this showed them in the right. And the greatest children’s show ever. This has a basic sitcom like structure, but its ability to do so much story without feeling rushed in only fifteen minutes sets it apart. Even in its dark ages of seasons 14-17 I never felt an episode was rushed. Without feeling forced there are able to show how a character feels and then make a plot out of it, and it almost always seems to take just the right amount of time. Since the basic pre has a low floor the plots are very important, which is what the dark age lacked. The other seasons ad even quite a few in the dark age have stories that stay just as good for around the first ten watches. I can watch many episodes and get the same pleasure as when I first turned the TV on to Arthur. This is one of the only shows I watch regularly when it comes on.